Bestselling author Nathaniel Philbrick reveals the darker side of the Pilgrim fathers' settlement in the New World, which ultimately erupted in bloody battle some fifty years after they first landed on American soil. Behind the quaint and pious version of the Mayflower story usually taught in American primary schools is a tumultuous and largely untold tale of violence, subterfuge and epic drama. For amidst the friendships and co-operation that sprang up between the settlers and indigenous people, whose timely assistance on more than one occasion rescued the Pilgrims from otherwise certain death, a dark conflict was brewing. It erupted in King Philip's war, a terribly bloody conflict which decimated the English population and all but obliterated the Wampanoag. 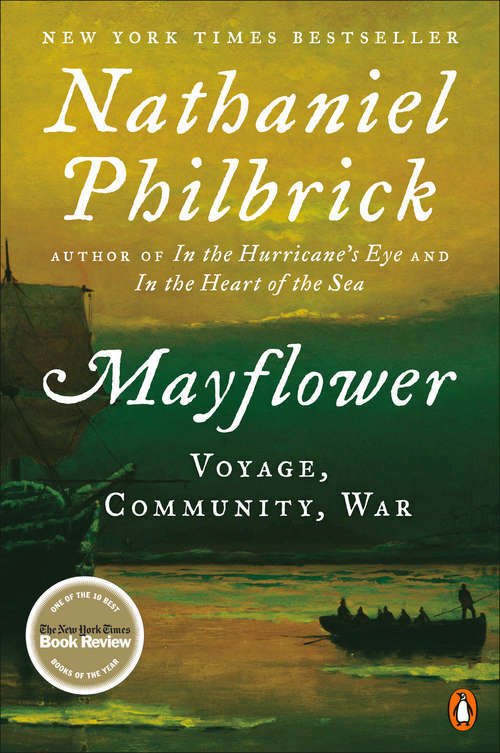 Following the Pilgrims from their perilous journey from England on a battered, leaky ship, through their first bitter North American winter (during which half of them died), to their equally bitter battle against the native Wampanoag tribe, Philbrick paints a vivid and panoramic picture of conflict and colonialism, co-operation and betrayal. In so doing he brings to life a cast of compelling, even heroic, characters, and sets the scene for the development of the American nation.